If you are planning to sell a home in Tallahassee in the near future, you probably are starting to develop a timeline and a plan for your move. 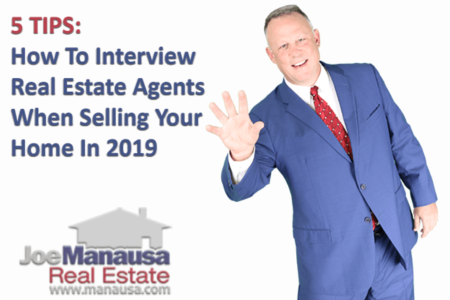 If you are like some of the better organized home sellers out there, then you're probably most concerned with what your home will fetch and how long it will take to sell. The answer to each of those questions will be based upon liquidity for homes like yours, so a thorough study of real estate supply and demand will be necessary in order for you to be properly prepared. But there is a far more simple way to get a feel for the overall market for houses in Tallahassee, and we've prepared a useful graphic depicting the average time it takes to sell a home and the average percentage of asking price received at closing. I have written numerous articles about uselessness of MLS data for the purpose of determining market time in real estate, so I have developed a meticulous process to help determine overall market averages. The real estate graph below was created through hundreds of hours of data analysis, removing duplicate listing entries and measuring home selling results from the initial listing date through the date of closing. The results below are only for successful home sellers (30% of sellers are failing right now), and they only measure the time it took their successful real estate agent to sell their home. Any previous agents' work is not included, nor is any time spent as a "For Sale By Owner." 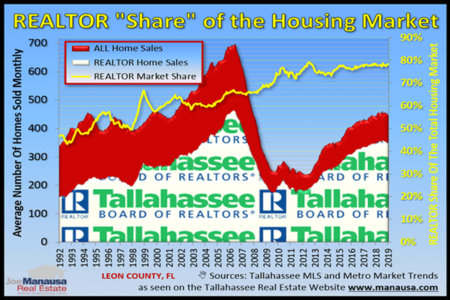 Thus the results below are more optimistic than the overall Tallahassee real estate market is producing. In the graph above, the blue squares measure the average number of days from listing date to closing date for successful home sellers (measured on the left vertical axis), while the orange circles plot the average ratio of sales price to initial asking price (measured on the right vertical axis). The one-year average of each is shown in its corresponding color. Based upon the current trends in the graph above, and assuming you have an "average" home and hire the "average" real estate listing agent, you will get 90% of your initial asking price (or better, as the trend is rising). It will take 135 days from the day you sign the listing agreement until you hand over the keys to the buyer of your home. By way of example, if you list your home on November 2, 2015, you will be at a real estate closing on March 16, 2016. Of course, that's if you work with an "average" agent. If you work with a better agent, who works with a better real estate company, then you will find better results. There is no reason why the average home should take several months to sell, and there is no reason at all why you should not get 100% of your equity when you sell your Tallahassee home. If you would like to know how to capture more of the equity in your home and better control the length of time your home is on the market, take the time to interview a real estate professional who has made a science of the home selling process.